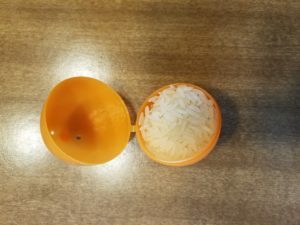 Open your plastic egg and fill half of it with rice. 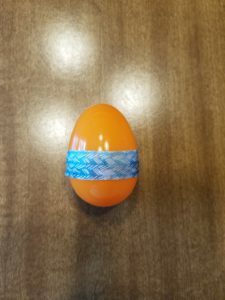 Then close it up, and tape it shut. 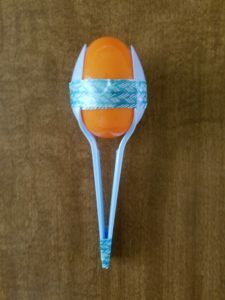 Finally place the tops of both spoons on each side of the egg, and tape around everything (both spoons and egg). 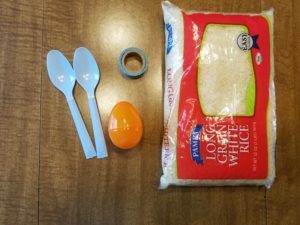 Then tape the bottoms of the spoons together. That’s it! Super easy, and a great entertainer! The shape of these are perfect for little hands! 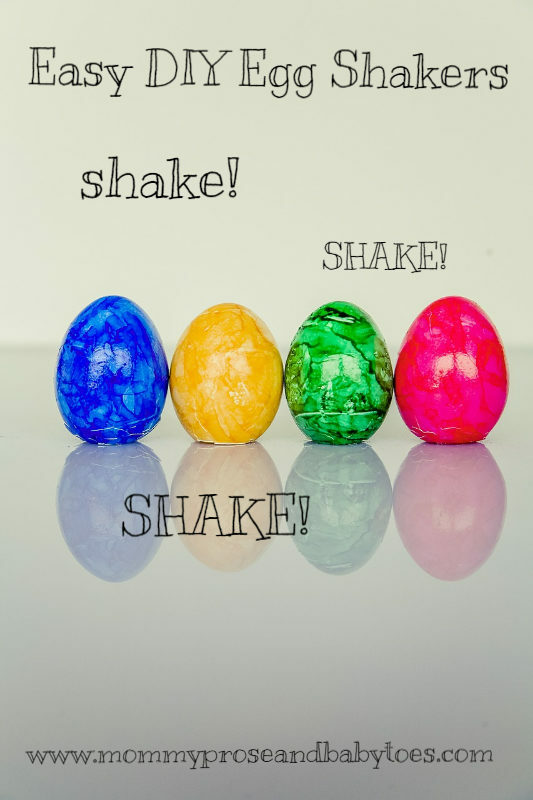 This was the first rattle that little man was actually able to shake! And of course he loved it!